Channel Nine. 1968. Director: Stefan Sargent. Music: Will Rushton. Musical Director: Geoff Harvey. LP (ST) Bulletin. MX-21745. (m). 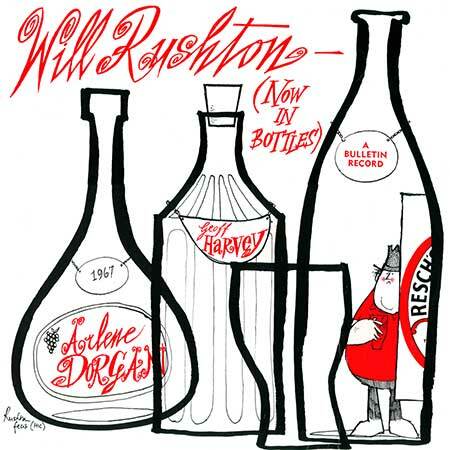 "WILL RUSHTON - NOW IN BOTTLES". Will Rushton. Arlene Dorgan. Geoff Harvey's Orchestra. World Copyright Reserved. Recorded live during the TV series. From Rushton With Love (Theme). (Tune by Geoff Harvey). Woollahra (Processional March). (G. Harvey). British Born. (Words by Henry Boden). Say You Want Me. (Will Rushton). St. Vitus' Dance. (Will Rushton). Anyone Can Dream. (Will Rushton). The World Would Be A Better Place. (Will Rushton). All Things Bright And Beautiful. (Will Rushton). I Hate Flying. (Will Rushton). I Want To Ring Bells. (Figler). (Albert).